Enjoy the Amazing mountain views of Hanalei while you reach the Kalihiwai stream. The Jungle Valley Adventure is unique because it is not only a Kauai Zipline Tour, but also includes Kauai Hiking, Kauai Kayaking and of course some exciting Kauai Zipling. 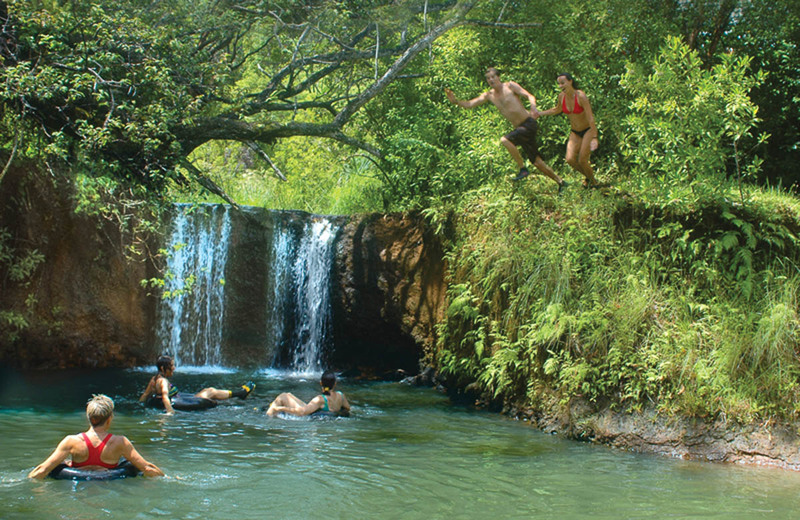 Here guests 65 to 280 pounds have the option to ride Princeville Ranch Adventures’ two magnificent, 400-foot zip lines and also a connecting bridge over a pristine twin waterfall and swimming hole . Those not zipping (this is the only Hawaii Zipline Tour where you have the option not to zipline, besides the Kipu Falls Zipline Safari which is also offered by Outfitters Kauai) can watch or walk down to this idyllic spot. After zipping, you can jump, swim, float on inner tubes, enjoy a delicious freshly prepared lunch (Vegetarian Option Available) and relax. This beautiful private swimming hole is all yours for you to enjoy! 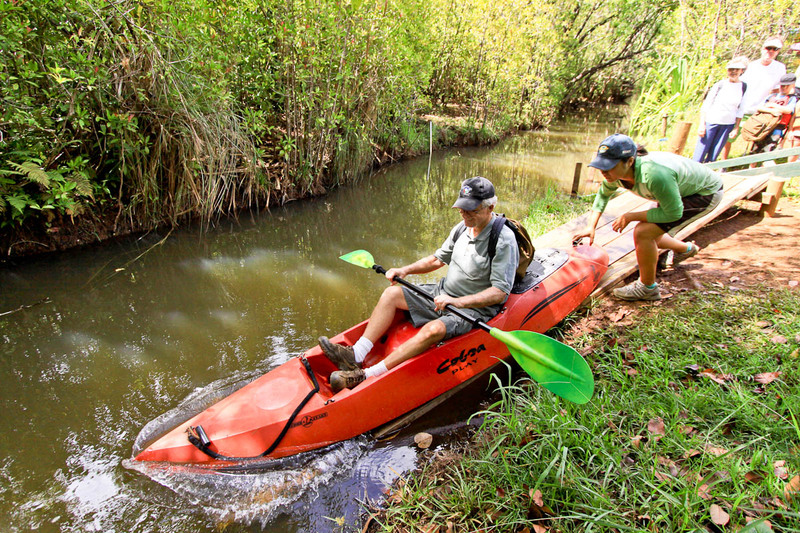 The Kauai Kayaking in Kauai with Princeville Ranch Adventures is beginner-level with the total kayaking time approximately being one hour, round trip. The Hiking on this Hawaiian tour is moderately strenuous, includes multiple stream crossings and is approximately two hours, round trip. Meet the real Hawaii on this new North Shore eco-tour. The guides of Princeville Ranch for all their Hawaiian Tours including each Hawaii Zip line Tour are CPR and First Aid certified and well educated on Hawaii's history, flora and fauna.